The High Priestess showing up in a reading, regardless of the issue being addressed, indicates you are dealing with someone who is highly intuitive and uses many realms of gifts, either tapped into or not. These are usually the people who I end the reading with the comment: “You already knew all the answers, just calling for confirmation?” lol! The High Priestess is tied to the moon, to femininity and to inspiration. She signifies spiritual enlightenment, inner illumination, divine knowledge and wisdom and is the gatekeeper of our subconscious mind, giving us a heads up that new and sacred knowledge is being downloaded or shared. 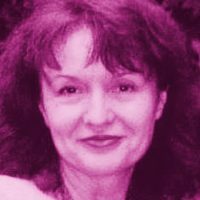 It shows the person having the reading is at the threshold of opening up their gifts or welcoming new ones in dealing with life on an everyday basis. She shows there is only a thin veil that separates us from our awareness, the world is not always as it seems and that more unseen profound influences are often in play. The High Priestess indicates that information or awareness not known or seen before is coming to the forefront and for you to act on it. This is also a time when your energy becomes brighter and you may find yourself more in demand and attractive to others. When reversed, the message is loud and clear that you are not listening nor trusting your higher self and intuition. You do not trust yourself to make clear choices and question your faith or belief in yourself. You are usually going to others first, even after knowing what you should do, and second guessing your decisions from their input of what is right for you. In your gut, you have the answers. Confirmation of those feelings and answers are one thing, looking for someone to tell you what to do usually takes you down a road you always regret later. In general, pulling the High Priestess is a message that it is time to start relying on your intuition and inner knowledge, rather than your conscious mind. You will also find when this card falls into play, lots of dream time learning, prophecy and guidance will be happening. Synchronicities become common place. Career: There is always something new and not expected but to your benefit when this card shows up in career questions. Not necessarily always in the form of pay but possible recognition for an innovative approach to your job. It could simply be something that makes your job easier to do and less stressful. Love and Romance: This is a great card to pull if you are looking for a relationship. You will find that you have some kind of a magical and/or mystical effect on the people around you, which may lead to a love interest or just noticing that people seem to be more drawn to you. Money: The High Priestess where your finances are concerned, is probably not the best card to show up as it indicates you are rolling with whatever comes versus stable planning. Relying on your intuition or being more in the future with your finances (I really, really need those shoes, I will figure out how to pay rent when it is due” approach can sneak up on you. Do your homework about where your money is going and don’t assume anything. Health: The High Priestess usually suggests that you have the feeling that something is not quite right but it has not yet come to light. Follow your instincts and address your concerns by either going to your doctor or holistic therapist. If not happy with your answers, use that intuition again and get a second opinion. Spirituality: The High Priestess sends the message that your answers can come from many sources but trust the one source within first. Also, to take a look at your spirituality from different perspectives other than your own, there may be an awakening laying within that book someone suggested to read or the affirmation track to listen to. Being religious is often confused by many as also being spiritual. They are often completely different approaches to finding your truth but they do overlap. 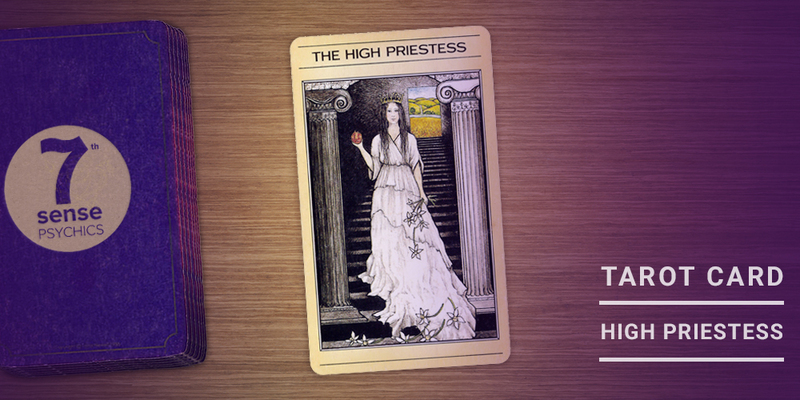 The High Priestess is a wonderful card to pull when searching for those answers that lie both within and around you. Rule of thumb when she comes up in a reading, trust your first instincts, as they are usually from your higher self before your confused and frightened ego gets a chance to get hold and begin doubt.